What might people mean when they say ‘working together as a region’? Kristin Brekke Vandersnick, center, discusses regional efforts at the Prairie Idea Exchange on Dec. 9. How big is a region? One thing we didn’t define during the Prairie Idea Exchange was what we meant by “region.” This was partly by design, as we didn’t want that discussion to overshadow the “how” question. But there are a couple guidelines that might be helpful if your community is considering how to approach regional work. Regional development has to go beyond the borders of your community. If everyone around the table is from what you consider your own community, that might well be great for the project you are working on, but it’s not regional. Regional work is “bridging” work—it brings people together from different places and points of view. The region you define for one endeavor may not be the same region for another endeavor. Some projects require more “critical mass” than others, and some may need to be more tied to similar geography, demographics, etc. than others. The region you define should match your needs. 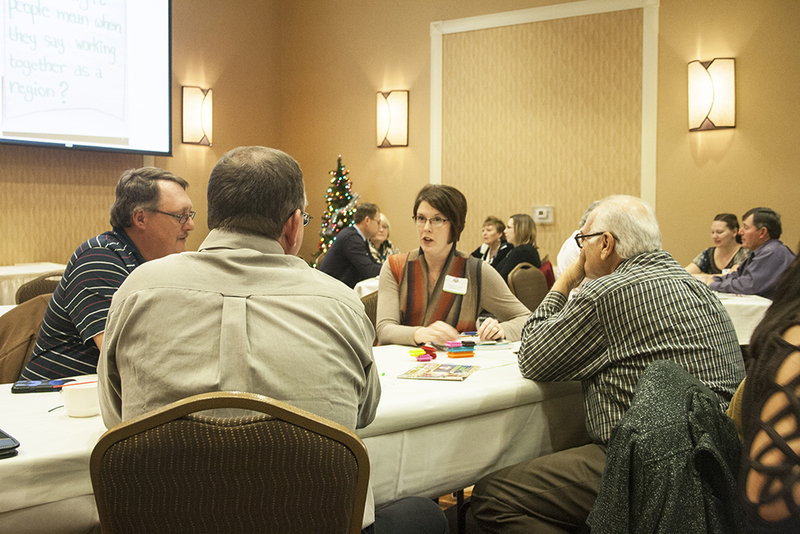 View all of the articles from this month’s Prairie Idea Exchange by following this link Focus on Region Building.